Coca-Cola's Zico Coconut Water has selected MSLGroup as its agency partner to help launch a national brand campaign. EL SEGUNDO, CA: Coca-Cola’s Zico Coconut Water has selected MSLGroup as its agency partner to help launch a national brand campaign. Zico hired MSLGroup following a review for the US PR business that started earlier this year. Catalyst, which previously worked on the account, was invited to re-pitch, said Zico communications leader Amy Driscoll. After months of planning, Zico kicked off its Crack Life Open campaign this week with actress Jessica Alba as its brand ambassador. The multimillion-dollar media spend for the initiative spans print, out-of-home, and digital advertising across the US, Driscoll said. "In order to bring the Crack Life Open message to life about living positively and thoughtfully, and staying hydrated, we needed a strong PR agency," she explained, via e-mail. MSLGroup will support the campaign throughout the summer "with additional plans in the works to keep the momentum throughout the year," Driscoll said. "From the outset, we were impressed by MSLGroup’s big ideas with practical execution and passion to work with us," she added. Representatives from MSLGroup did not respond to a request for comment. Further information on the review or the agency’s scope of work was not disclosed. Zico hired Driscoll in February for the newly created role of brand communications leader. She told PRWeek at the time that her goal was "to differentiate Zico in the category by helping to define its voice." 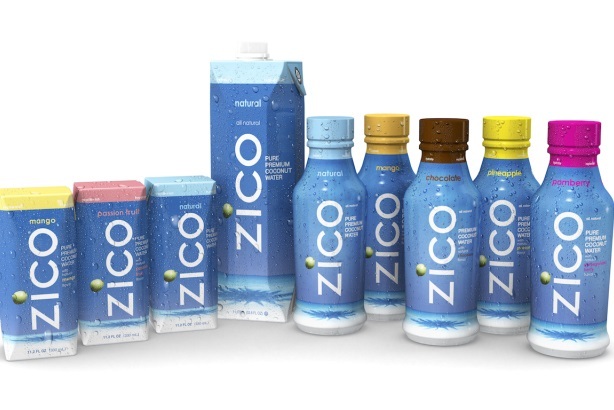 While Zico is part of the popular coconut water category, it needs "to be relevant and real to build an army of Zico brand loyalists," she added. Zico was the official coconut water of the 2014 Winter Olympic Games in Sochi, Russia, and the brand also sponsored MADE Fashion Week at Milk Studios in New York last winter.